Amazing views of Big Baldy in Kings Canyon from your bed or living room. This beautiful Custom Home sits on top of the mountain with valley views from all sides. 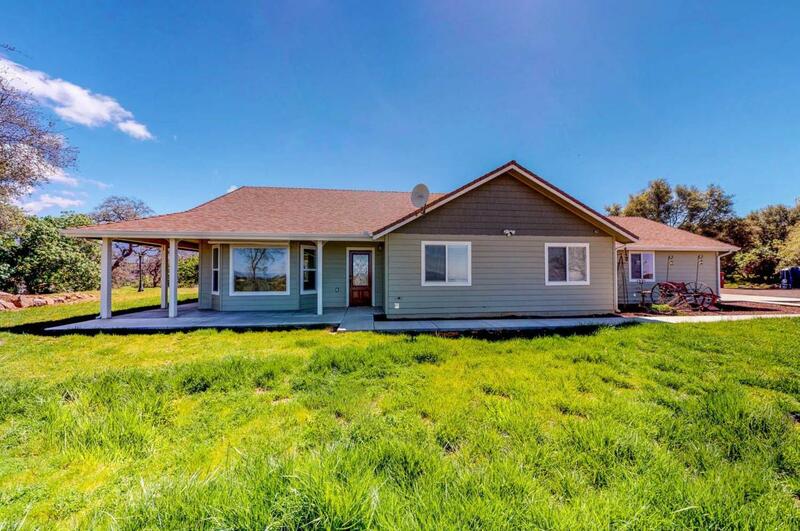 This home has all the amenities you could wish for: All 2x6 construction, Granite counters, built in cabinets, Fire Sprinklers, Wood laminate flooring, Custom antique mantel, solar system and whole house backup generator. All 56 acres is fenced and crossed fenced with a seasonal pond. The 25 X 30 barn/shop has both 110 and 220 power and 10x25 cement pad. Kings Canyon National park 30 minutes away. Thanks for viewing!